Some superheroes are blessed with extraordinary powers, where these happen to be bestowed naturally, or through some sort of accidental means – a gamma radiation accident, being bitten by a radioactive spider, getting struck by lightning – the list goes on. What about ordinary humans who push the boundaries of what being a human is, coupled with a brilliant mind? 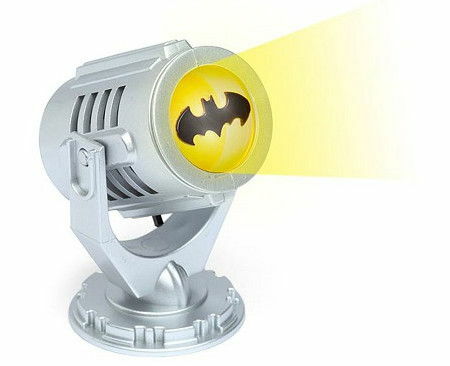 This is where the likes of Batman comes in, and just in case you feel the need to “summon” your personal Batman in times of crisis, then the $13.95 Mini Batman Signal is definitely a hoot. Who knows? You might end up with a “mini Batman” instead of the real deal.